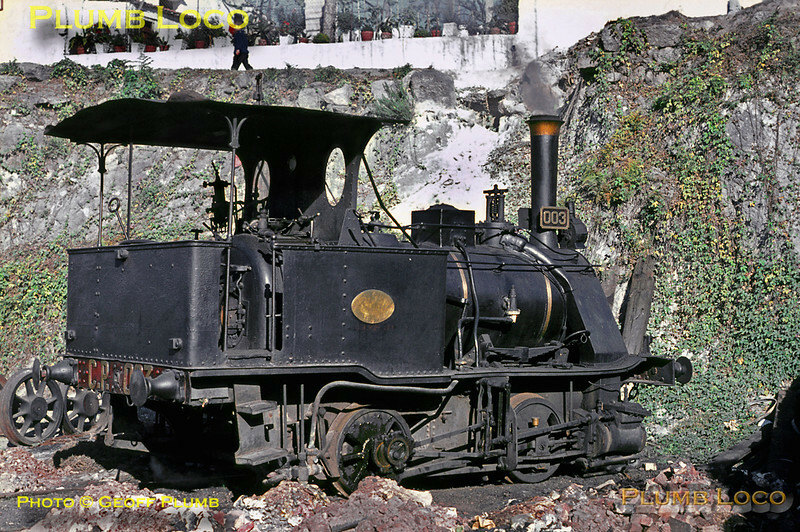 One of the most famous engines in Portugal was the shed pilot at Contumil depot in Porto, the diminutive 0-4-0WT "Little Mouse" No. 003, built by Cockerill in 1890. Here it is, simmering in the sunshine on Sunday 8th November 1970. Slide No. 5927.